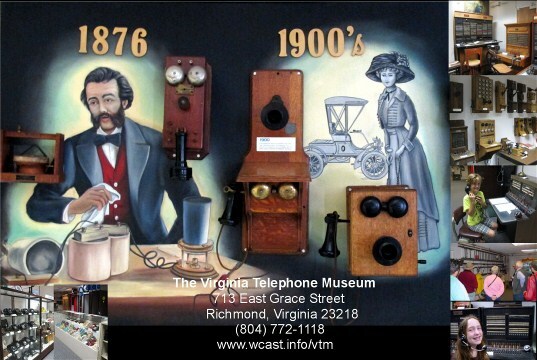 Curtis as tour guide in telephone museum, main entrance to the museum in Richmond. Curtis Anderson received his A.A.S. 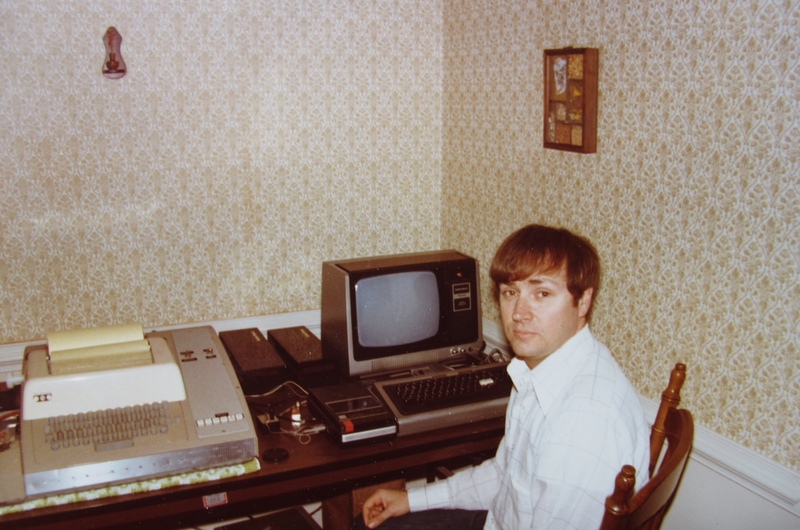 degree in Electronic Technology from John Tyler Community College in 1969 and his B.S. degree in Industrial Technology from Virginia State University in 1977. 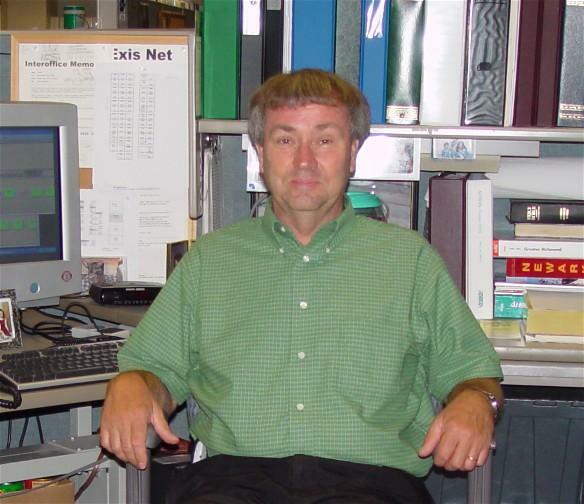 Currently a retired employee from Verizon Communications, Curtis started teaching classes in new technologies in 1978 at such places as Richmond Technical Center, John Tyler Community College, Virginia State University, Bell Labs, and has traveled to China to conduct classes. From vacuum tube theory to integrated chip technology, his work experience with analog and digital technologies, Curtis still brings into the classroom a broad base of knowledge and experience. Curtis got involved with museum founders Tommy and Eleanor Harris in 1999 and joined the Old Dominion Pioneers Chapter 43 helping with their website design and posting images for promoting the museum. Several years later, Curtis started giving tours to the museum while still employed with Verizon and continued giving tours and other speaking engagements after retiring. 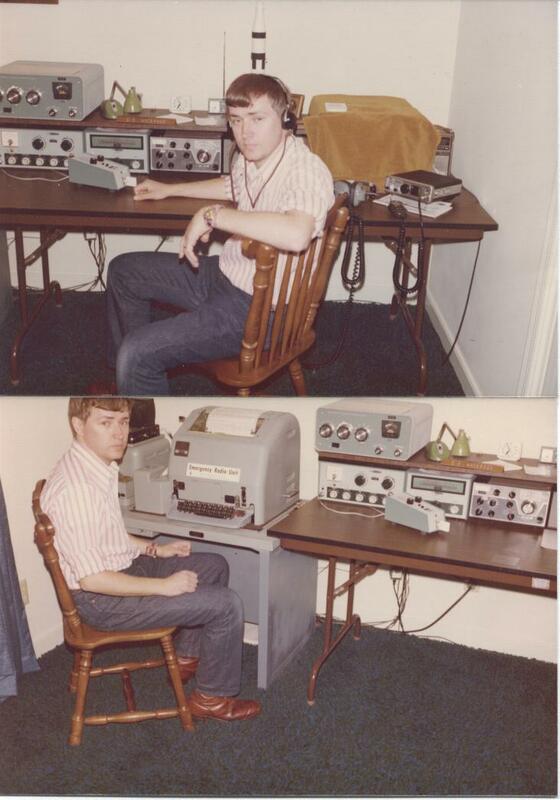 As a ham radio operator, station N4ON Curtis operated RTTY in the mid 1970's. In today's terms, that is sending and receiving wireless text messages. to serial data format, the printer ran at 100 wpm speed.